The email came in on our tips line with the subject “Because Jalopnik likes the wonderful & weird.” And you know what? I opened it up and found that it was absolutely true. This Chevy Malibu is both wonderful and weird! As the guys from car customization shop, Customs By Flash, tell it, they’re a group of friends who work on cars as a hobby. 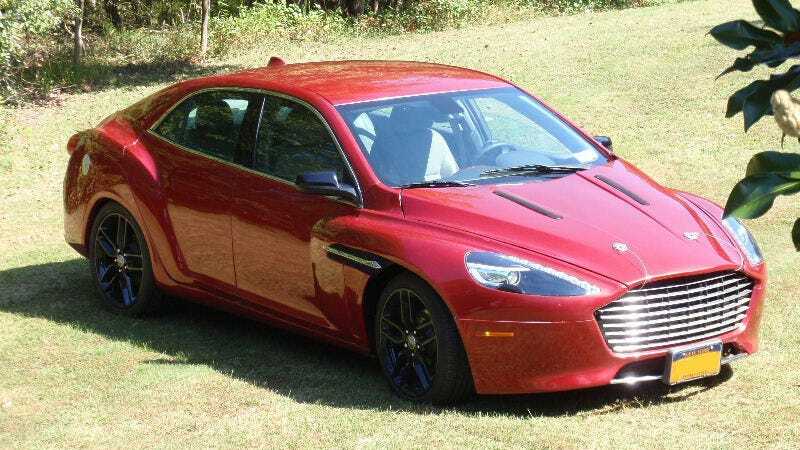 One day, a customer with a 2013 Chevy Malibu four-cylinder hybrid came by and wanted them to make it look like an Aston Martin Zagato, as one does. We re-skinned the trunk lid and quarter panels, made the AM front fenders and headlights fit, and scratch-built an aluminum hood. Finally the car was painted AM Volcano Red. A lot of other changes were made and re-engineering done, including moving the lead acid battery to the trunk so the Virage headlamps would fit under the hood, wiring the AM and Ferrari lights into the stock harness and remote openers were installed for the rear doors. And this is the finished product. I like it so much. Judging from the pictures, the panels look like they fit together nicely and the car is well-proportioned. If you follow along with the build process on the company’s Facebook page, you can see the whole thing come together.